Erin Blegen: My Scrap Cabin: I'm "In Love" w/ Webster's Pages!! Good morning everybody :). It's Sunday morning here, had a great time last night visiting with a friend of mine who is more like a brother to me than a friend- we grew up together, born a month apart, our parents were best friends...don't get to see him much, so it was really nice to just laugh and talk. Also took the kids to the lake yesterday evening to swim and relax...I love summer. I love the smell, the warmth, the water, the wind...if only it lasted longer! I know for many of you, it's winter- and being in the middle of this heat wave, it's hard for me to picture winter. Hopefully it stays that way for a while! 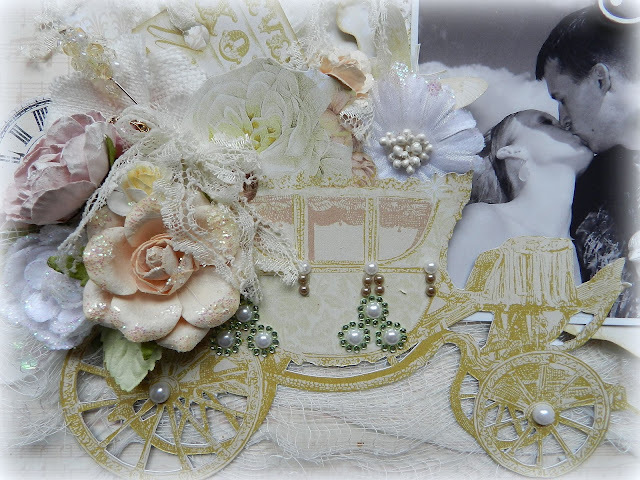 Here's a closer look at my "loaded" carriage, full of blooms and lace and bling :). My hidden journaling, which reads: "Our love is beyond measure...beyond my wildest dreams! Josh & Erin, June 20th, 2009". 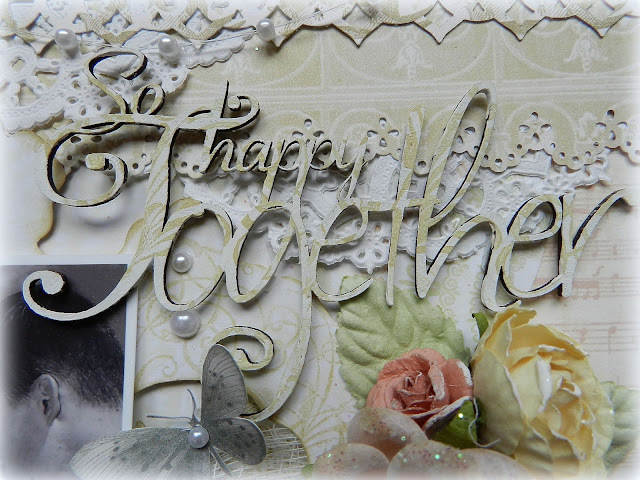 Yet another fabulous Scrap FX chipboard title! 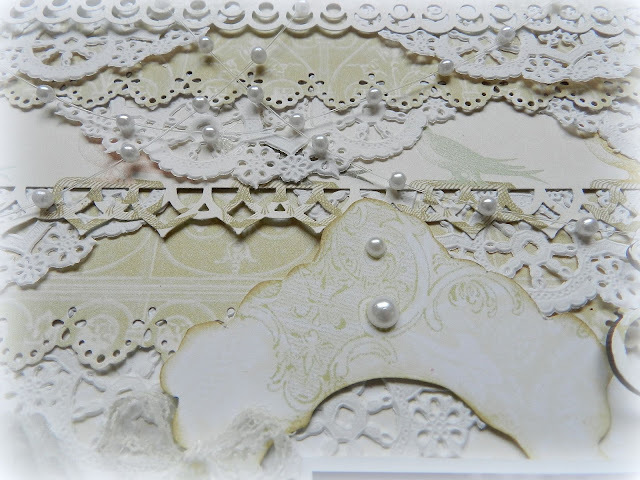 Painted white with gesso and stamped with a Prima flourish stamp to blend with my layout. 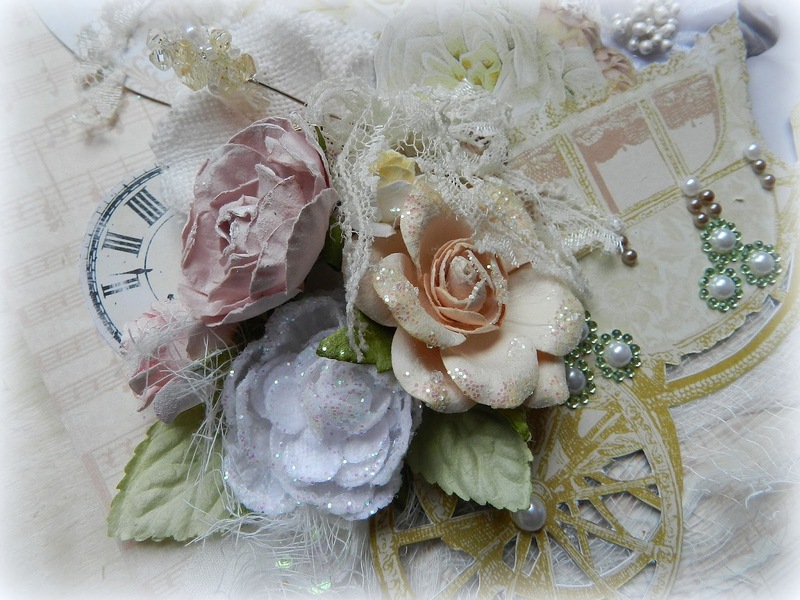 Gotta love trinkets and resin treasures...perfect little touches :). 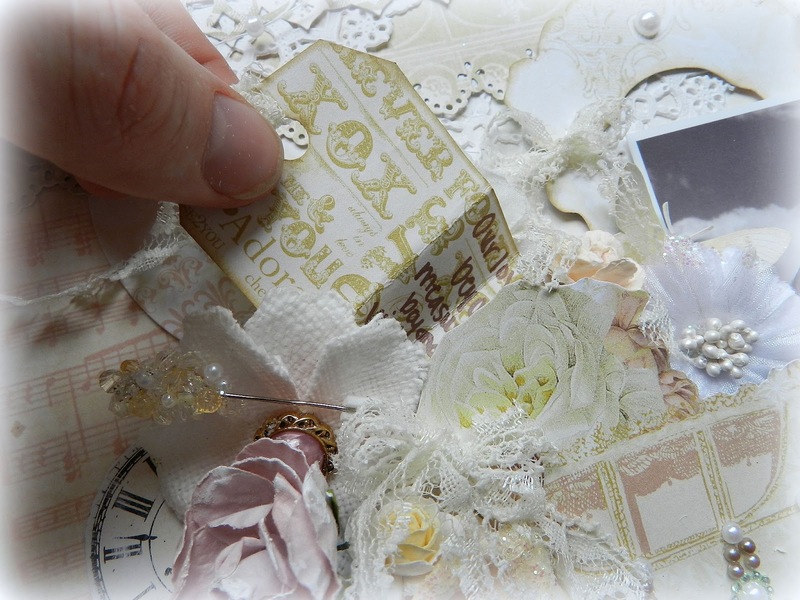 ~Prima Marketing Chalk Fluid Edger Pad: "Shabby Tote"
HI Erin, this is exquisite, and the love you have put into this is an expression of your love for your husband.. 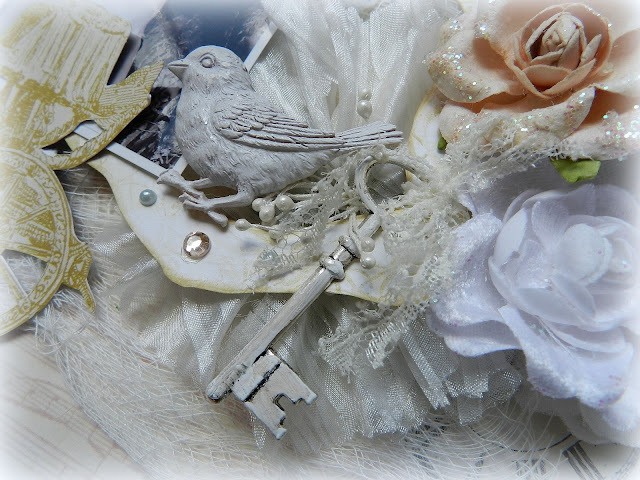 I love all the details.. it looks like a fairy tale.. really really beautiful... and thanks for joining in at BITW!! Have to agree with the other lizzy!!! It's just got Cinderalla written all over it...beautiful beyond belief & the patience for that fussy cutting????!!!!! Very beautiful and detailed! Love the gesso and stamping technique. Gonna have to try that! Very fairytale wedding like. I love the layers of border punches & the bling you added to the carriage.I cant wait until I dive into my Webster's warehouse goodies. Have a nice rest of the weekend Erin. This is beautiful, Erin! The carriage is so fitting for a wedding page, and I love how you filled it with flowers. I love the pearls, too...everything is gorgeous! Stunning LO but I have to say that the photo still outshines the layout! BTW, I have a question. All of your LOs are 3-D. Are you able to store any of them in albums? If so, how? I haven't found any products to help me w/ this. so beautiful! breathtaking! love it!!! gorgeous Erin, both the LO and the picture!! 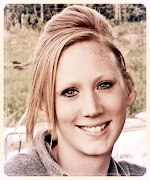 Totally beautiful Erin!! 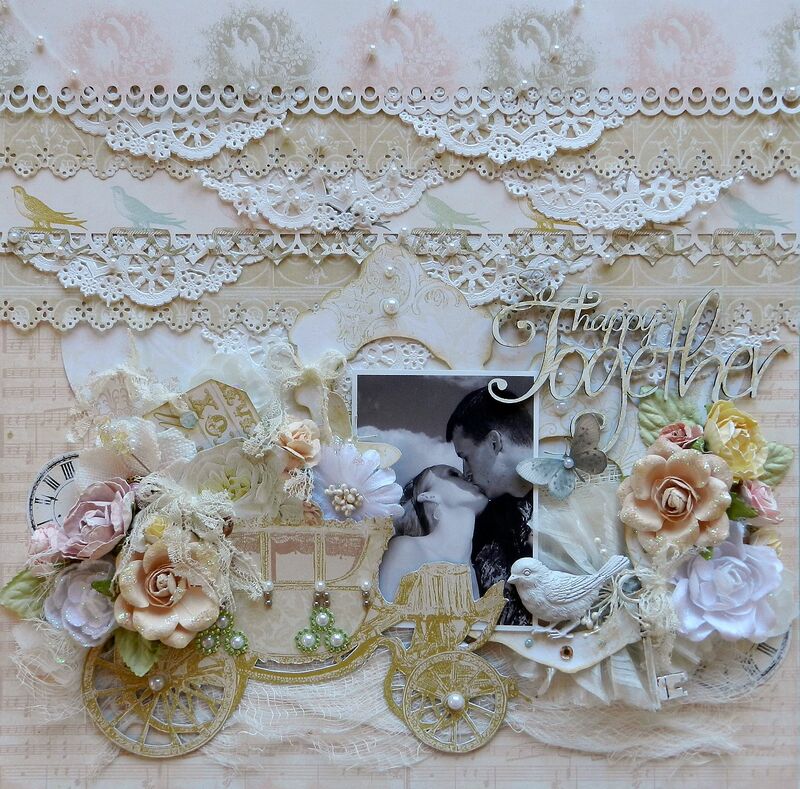 I love the doilies layered under the strips at the top and the pretty "Cinderella" carriage...perfect for the theme of your page! OH! WOW! Erin.. This is Truly BEAUTIFUL & yes you can see the love you have put into this!!! Erin, this LO made me feel like I was really at a wedding. The papers were perfect and had you not said anything I would never have guessed that the carriage wasn't a store bought embellie. What a sunning LO, I can see the love you in to this. All that fussy cutting & work certainly paid off Erin. I love all the punched edges too. A stunning page! What a gorgeous and magical page you've created, Erin! 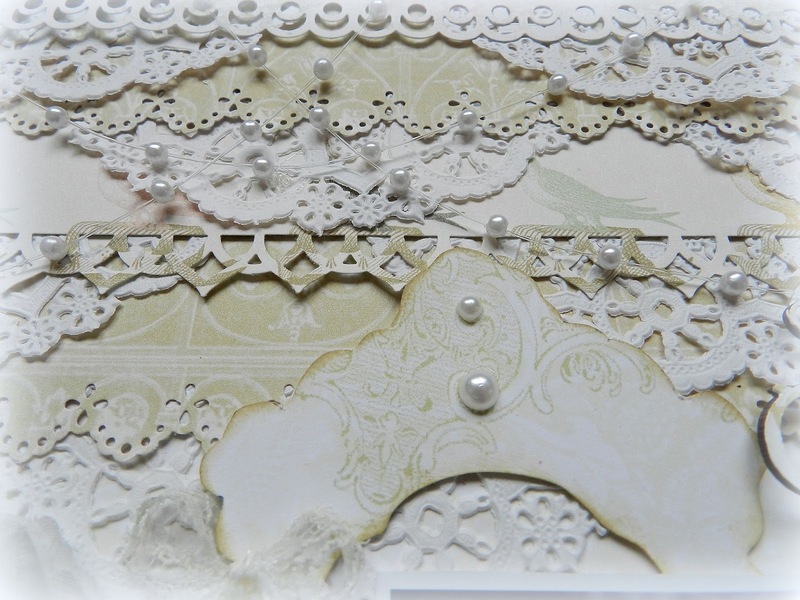 Love all the pretty pearls and flowers and that carriage loaded up with the pretty bits, but my favorite detail is the layered punched paper with the bits of doilies peeking out--that looks so, so pretty! Perfect, romantic, pretty and dreamy. You really have put a lot of love and detail into this and every piece is worth it for that gorgeous photo. Absolutely perfect Erin! Not a thing I would change on this one - it is totally exquisitie!!! This has to be one of my favorites of yours! Simply Gorgeous! erin, i'm a new follower. what a beautiful blog. 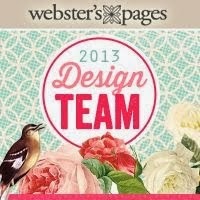 congratulations on being a winner over at websters pages. if you happen to get the contact mail will you send it on to me? i won the halloween collection. i can't seem to get the email to go thru. says its an invalid address. i certainly don't want to miss the chance to get this. thank you, and again, congratulations on your royal christmas win! oh my... this is the most gorgeous wedding page I have ever seen!!!! just WOW! Oh goodness. This is just beautiful! Seriously Erin....one of the nicest WP layouts I have seen! Love love and Love it! oh my goodness! I love the way you tucked the doilies under the layers. Beautiful! Thanks for play it us in BITW! Wow! Insanely gorgeously detailed page. Beautiful! This page is "beyond" gorgeous! All the attention to detail is wonderful. Really like all the layers of punched paper borders. Wonderful layout and so many beautiful details in it!!! Very romantic! !